Lucena City Declares Hermana Fausta Labrador as "Ina ng Lucena"
Initiated by the school through its President Sr. Fe G. Gedalanga, D.C. and with the help of its SHC alumnus and long time college professor Councilor Wilfredo Asilo, the City Ordinance No. 2377 was unanimously enacted by the 12 Councilors and Vice Mayor Philip M. Castillo on December 7 and approved by Mayor Ramon Y. Talaga, Jr. on December 14. Before the approval of the city ordinance, a well attended public forum was held on December 4. The audience was able to know the life story of Hermana Fausta and her contributions to Lucena by watching the movie “Fausta” and by listening to the accounts of various resource speakers who have had personal encounters with Hermana Fausta, experiences as alumni or as parents of students in SHC, like Mr. Juanito T. Martinez who was the founder of SHC's Parent Faculty Council in the college department, and knowledge on the history of Lucena. 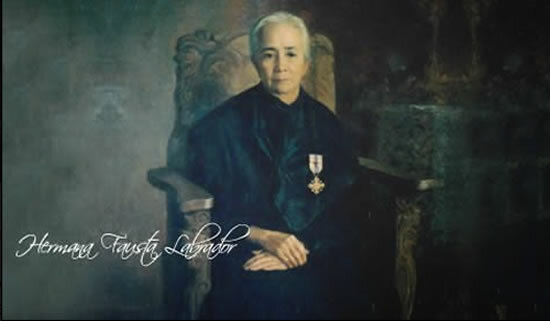 A video of Dr. Cesar A. Villariba, a known historian of Lucena City and Quezon Province, was shown wherein he mentioned that among the famous and important women of Lucena, Hermana Fausta is truly a remarkable one. In addition, Dr. Rebecca V. de Ocampo, a former superintendent of Lucena City and Marinduque and now president of Girl Scouts of the Philippines-Quezon Council, expressed her belief that Hermana Fausta could be the model that youth of today is clamoring for. Then Purificacion Jawili, or Tita Puring, shared her fond memories of Hermana Fausta while she was still a young child. “Ang diwa ni Hermana Fausta… ang pagtulong sa kapwa ay dumadaloy” said Tita Puring recalling how “banal” Lola Uta was. With all the statements attesting to life and works of Hermana Fausta, the principal author Councilor Asilo, together with the co-authors Councilor Felix F. Avillo and Councilor Clarinda S. Cabana, went for these additional provisions: December 19, being the date of birth, be celebrated in Lucena City as “Hermana Fausta Day” with its celebration spearheaded by the Alumni of Sacred Heart College; a monument in honor of Hermana Fausta be erected in a conspicuous place in the city with the help of the City Government which shall be financed by the administration of SHC; and the National Historical Commission be notified of the declaration through the ordinance. Inspiring and historical, she truly holds a special place in the hearts of the students, the Cordians, and all the city people. Yes, that is Hermana Fausta, “Ina ng Lucena”, the hero. Hermana Fausta Labrador (December 19, 1858 - September 14, 1942) is a Filipino laywoman in pending cause for sainthood. 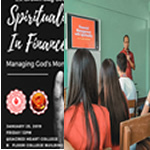 She founded the Colegio del Sagrado Corazon de Jesus, a charity school for poor children that has evolved into what is now Sacred Heart College in Lucena City.